Intelligence firm Lux Research projected utility-scale solar power will increase in cost effectiveness to compete with natural gas by 2025, according to PV Magazine. Natural gas is considered to be a more eco-friendly alternative to coal-fired power because it is cheap and abundant thanks to the domestic shale boom. 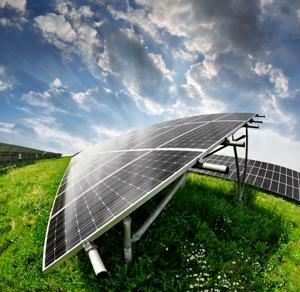 However, experts believe natural gas may act as a bridge to renewable energy sources like solar. "On the macroeconomic level, a 'golden age of gas' can be a bridge to a renewable future as gas will replace coal until solar becomes cost competitive without subsidies," said Ed Cahill, Lux Research associate and lead author of the report. On the microeconomic level, solar integrated with natural gas can lower costs and provide stable output." The cost of utility-scale PV systems is expected to decline 39 percent by 2030, and solar energy may become more widely available and may change electricity sourcing over time.The levelized cost of energy for solar is expected to be within $0.02/kWh of combined cycle gas turbines globally by 2025, EarthTechling reported. As the energy landscape of the U.S. changes, companies may increasingly turn to solar power to reduce business overhead costs.